No one likes a braggart, but if you're looking for a promotion, you should still advocate for your own leadership potential. Show, don't tell your value through these four tactics. High performers at work believe, at one point or another, that it’s time for a promotion. Yet experience and a can-do attitude won’t necessarily set them apart in decision makers’ eyes. True leaders recognize other leaders, and advancing at work means proving you deserve to be counted among them—and communicating your accomplishments in a consistent voice that reinforces your personal brand. Leaders are responsible for more than just themselves, and it takes more than a strong work ethic to shoulder that responsibility. The challenge is proving that you can carry the load before you’ve officially been given much responsibility. Therefore, proving to managers and other decision makers that you are leadership material will take as much creativity as it does commitment. Having a lot of “stuff” all over your desk might make you look busy, but it won’t make you seem productive. Besides, if you can’t keep your workspace organized, then how could you possibly manage an entire project or team of people? Beyond that, an organized space could improve your productivity. So take 10 minutes to clean up — it’s worth it. Next, take an additional five minutes and make sure that the remaining items on your desk reflect the brand traits for which you want to be known. Optimizing your workspace is enough to boost your productivity at least a little, but you don’t have the time to wait for managers to walk by. You have to find additional efficient ways to attract attention for the right reasons. Because leaders take initiative, especially when others won’t, you should demonstrate your proactive attitude by learning a new skill, mastering a new system, or finding hacks to make that new system more efficient. Job descriptions are changing quickly, so invest time in developing a skill that your industry increasingly demands. Look at recent job posts for your industry to see what skills they frequently mention. And reach out to leaders in your network to ask them which skills they’ve found most beneficial to their success. From these lists, choose skills that mesh easily with your authentic brand traits. If you possess a secondary skill that you keep putting on the back burner, now’s the time to make it the focus of your learning efforts in a way that maximizes the time you invest. For instance, if you’re learning a new language, maybe you should focus on your speaking skills rather than drilling yourself on complex written verb conjugations. After you narrow the options to a skill, system, or program to learn, find resources to help you master it. That can be online classes or even a peer group all working to learn the same skill. But don’t overreach when it comes to building out your skills. It’s tempting to try learning multiple things simultaneously. However, multitasking can hinder your learning and cause you to lose focus from a central brand message. While you’re building yourself up with new skills, build up your co-workers, too. Share your knowledge, praise their accomplishments, ask for their advice, and truly be a team player. Prove that you can lead by inspiring those around you to be more and do more together. All of these qualities that make you a great team member will showcase your leadership stamina at the same time. The ability to build up your team as much as yourself is crucial, yet so is your ability to draw attention to your skills and accomplishments without sounding arrogant. 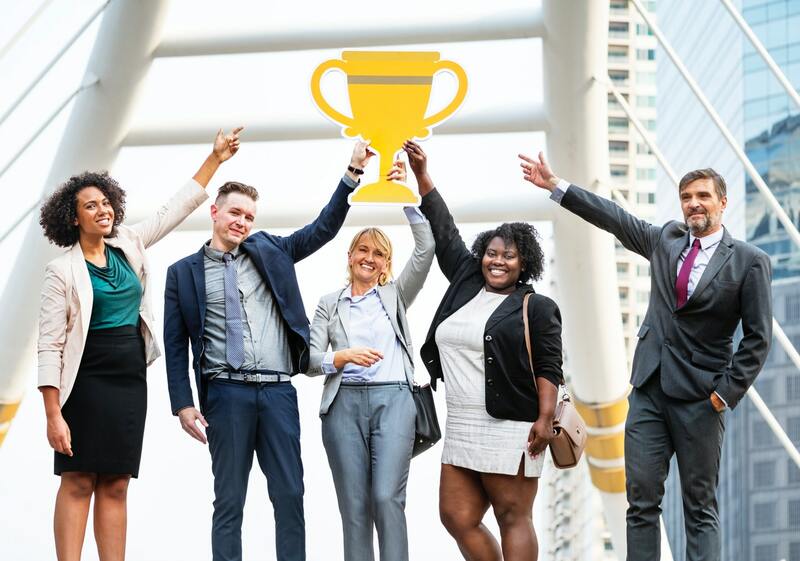 No one likes a braggart, but even if you know this, you also know that getting promoted means promoting your own skills and capabilities. After all, you are your biggest advocate. Just remember to promote yourself correctly. Effectively touting your abilities starts with having a legitimate reason for mentioning your accomplishments. Avoid pointing out every time you go above and beyond — it will quickly become obvious that your only concern is being recognized, not becoming a true leader. Instead, create appropriate opportunities for allowing your strengths to be highly visible to others. For instance, contribute to the company newsletter to share a best practice or technique, such as your approach to time management, that has worked well for you. You may feel as though a leadership role is just right for you, but if you don’t prove it, you may never see that role. If you’re feeling it’s time for a promotion to a leadership role, apply these four strategies and watch what happens!